As well as the Ile Saint Louis, The Jewish area in the Marais is one of my favourite areas where to have a walk in Paris. For more than twenty years I regularly go for a walk there and even if the area has changed, even if I miss the closing of some local stores (such as Goldenberg for instance) and the opening of trendy fashion shops in place of them, I think that the ‘Rue des Rosiers’ and its surroundings are still very authentic and charming, almost as authentic as they used to be. And this will last as long as some historical flagship stores or buildings remain there as those stores are part of the soul and history of the Jewish area: Finkelsztan, Chez Marianne, Le café des Psaumes, La Boucherie Norbert, … and of course the Jewish school in the Rue Pavée and the Synagogues, whether visible or hidden. 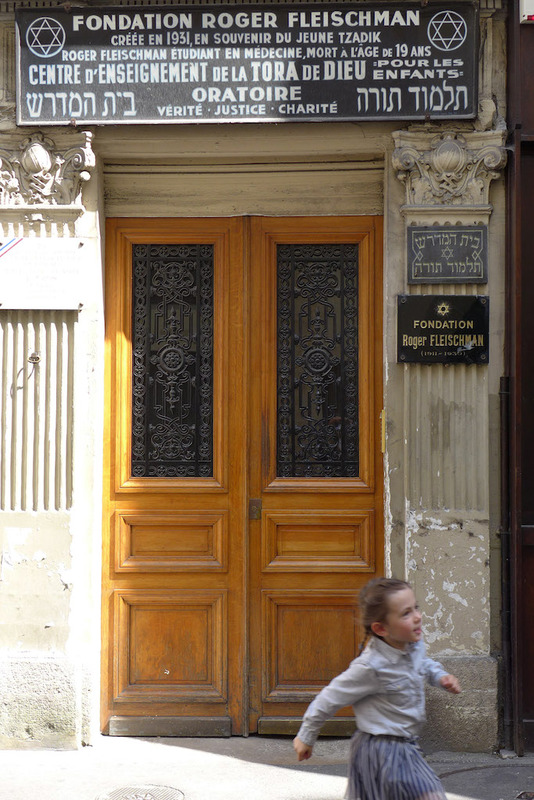 The most important of them is in the rue des Tournelles, at the Eastern boundary of the area, and is the second largest synagogue in Paris.